This will be the first of several exciting summer events going on at the Market in front of the Library. FREE Bike Registration for North Logan, Hyde Park, Smithfield, and Logan. 9:45—Parade on Wheels (bikes, boards, blades) from Elk Ridge Park to the Library. 11:00—Skate Boarding Demos and more!!! Naked Nutrition on June 3 @7p.m. Come experience our Authors & Illustrators evening program, Friday June 3, 7 pm at the North Logan Library Café (pre-registration required). 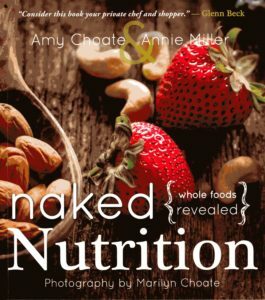 We’re featuring Amy Choate, co-author of NAKED NUTRITION. 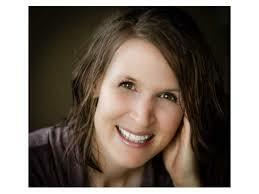 You may have met Amy at the Winter Bookmark, where she signed copies of her book and gave advice on healthy eating. This time, she will talk about how she came about publishing a cookbook while demonstrating her cooking and prep techniques. WE WILL BE SAMPLING WHILE SHE COOKS! Taste healthy foods prepared by Amy centered on living, vibrant, and yummy snacks that can easily be turned into a light meal—just perfect for summer cooking! The preliminary plan for tasting healthy foods that Amy will prepare is centered on living, vibrant, and yummy snacks that can easily be turned into a light meal—just perfect for summer cooking! Sunflower Seed Ranch Dressing & Veggie Sticks: This dressing is incredible! Not only is it plant-based, pro-biotic, and nutritious, children and adults alike find it delicious! It is a fantastic way to sneak powerful nutrition into our bodies. Gluten-Free Flatbread: This healthy bread stands on its own or pairs beautifully with salads, soups, dips, or as a sandwich base, etc. Pesto Snacks: Nutritional powerhouse snacks, loaded with cilantro—known for its ability to remove toxins from the body. Nacho “Cheese” Snacks: The plant-based dip at the center of these snacks will win the hearts (and stomachs) of everyone! Herbal Sun Teas: Possibly the fastest, easiest, and most cost effective form of nutrition year-round! Greens with Savory Seed Toppers: Your garden produce and salads will taste even more delightful with these seeds! Comments Off on Naked Nutrition on June 3 @7p.m. If you missed the opening day of the 25th Street Market last Saturday, the Friends of the Library will give you another chance at their flower sale. We still have a small number of 12″ flowering baskets available and quite a few zonal geraniums and 4-packs of herbs. The 25th Street Market starts up again this coming Saturday, the day before Mother’s Day, and the Friends of the NL Library will be doing a fundraiser. 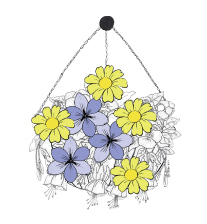 Thanks to Rudy’s Greenhouse, we will have gorgeous hanging baskets available at a spectacular price as well as 4-packs of herbs and zonal geraniums (always a favorite)! If you are a member of the Friends, bring your membership card for a further discount! IT PAYS TO BE A FRIEND OF THE NORTH LOGAN LIBRARY! Apart from the beautiful flowers, there will also be quality handmade items available to choose from to surprise your mom with. Or shop for yourself! Summer is on its way—worth celebrating! 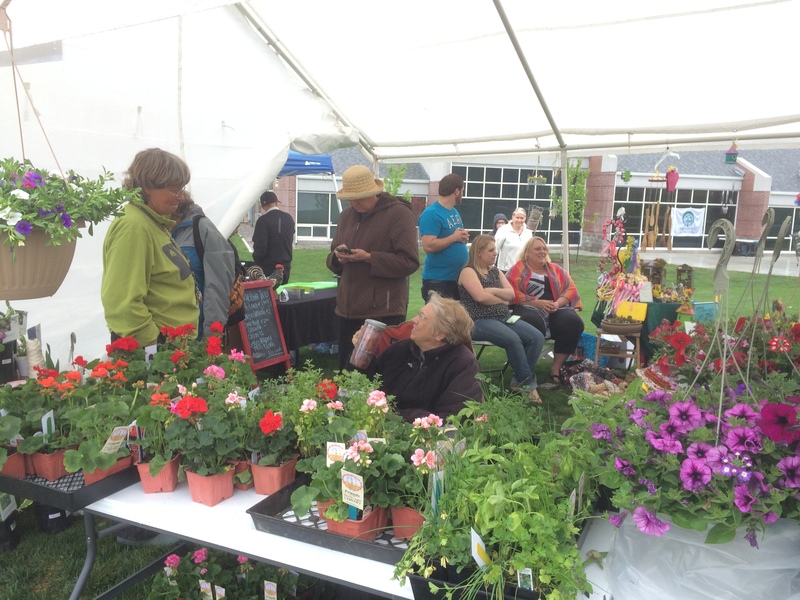 Come and join us in kicking off the market’s 2nd season! Friends of the North Logan Library · A non-profit organization.